This week has been busy around our little homestead. I finally made a little progress in my sewing room. I finished up four aprons. Now I am racing toward my Saturday deadline to get my Thimbleberries Club monthly challenge projects done. I WILL succeed, even if it means I get no shut eye til Saturday afternoon and I am not going to wait til the end like this again, next month... or will I??? I hope not. Ugh. I was surprised by the generosity of three fellow bloggers when they gifted my blogs with The Versatile Blogger Award. Thanks again Ann, Michelle, and Clint. It feels good to know that there are bloggers that actually read what comes out of our hearts and goes into our blogs, and it feels even better to be the one GIVING the praise and love. Go HERE and HERE to see my selections, my favorite and most versatile blogs. The news that Google Friend Connect will be removing non-blogspot blogs from all of our friend lists really made me sad. 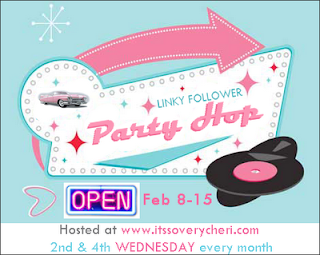 In response, a movement has spread across the blogoshere like wild fire in the form of new "Linky Follower" parties- Linky parties designed to inform bloggers about the changes coming March 1st to GFC and to give us all a free tool to replace GFC via Linky Followers. Thanks to Brent Riggs, founder of Linky Tools. I spent lots of cold nights this week baking. I even baked one of Dolly's Mile High Chocolate Meringue Pies and let me just say, wow. Her recipe is delicious. Dolly really IS cooking! Many of the recipes I've been baking lately, come from blogger contributions to Farmgirl Friday and The Country Homemaker. 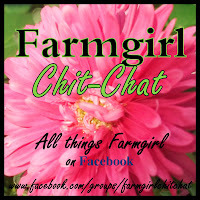 Thank you all for taking time from your busy days to share such helpful, meaningful posts with all of us farmgirls. 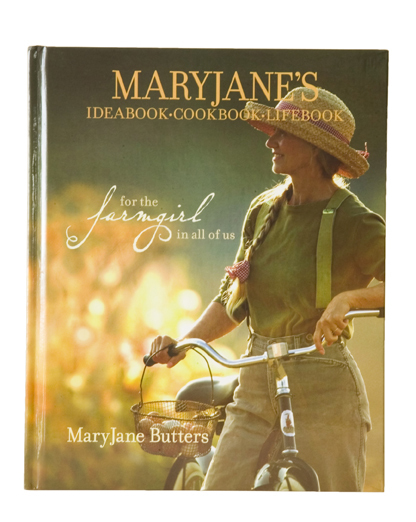 One last thing... for those of you farmgirls that have not yet seen Deb's awesome FARMGIRL GIVEAWAY- (a copy of MaryJane's Ideabook~ Cookbook~Lifebook) it's NOT too late! Hop on over to her blog HERE to say Hi and enter to win. Now, let's see what you're flaunting this week! I am following your awesome blog too. 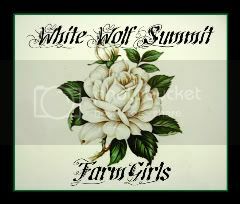 Welcome to Farmgirl Friday! Heidi, Your pie is gorgeous! Look at that meringue! Thank you Dolly. That's because I had a GREAT teacher and a wonderful recipe to work with. I was so pleased. It tasted like heaven. True to my word, poor hubby, I did NOT share this one, but he got a few strawberry pies. THANK YOU!!! 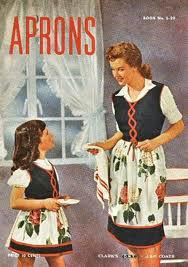 Love your aprons. I may try to make some myself. I did the blog hop. Come on over to my blog. Thank-you to take some time to read my blog and comment! And thank-you for the nice complements, too! I love your blog! 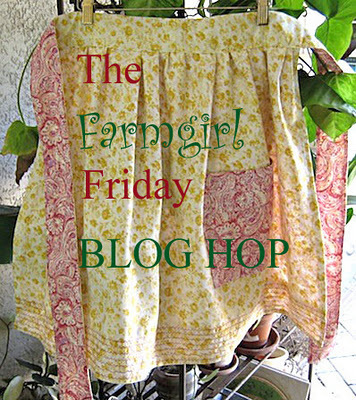 And I love the Farmgirl Friday Blog Hop, too! And, hopefully, I will try to like-up every Friday. Hi,Heidi,nice to meet you!! 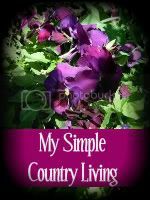 !Your blog is lovely...I love the country life!!! That pie looks marvelous! As do your aprons. Yes the whole google followers thing is a pain. I do believe it will end eventually for everyone. So thank goodness there the Linky followers widget now! I'm a new follower via the Linky Party Hop. Welcome to my blog. Please check out the Farmgirl Friday Blog Hop. It's full of great ideas. I do follow you... Isn't this whole linky followers party confusing fun? Have a great weekend. Thank you so much for your kind gesture. 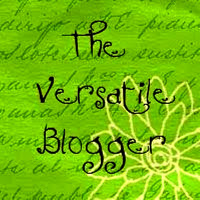 I will add your name to my current post for The Versatile Blogger Award. Your blog is a great addition to our blog community. I look forward to reading your gardening posts all year long. Have a GREAT weekend. Please DO link up! That's what Farmgirl Friday is all about- sharing eachothers' ideas, stories, recipes, tutorials and wisdom gained from experience. Your coconut deodorant recipe will be a GREAT addition to the hop. Please know that asking is not necessary. If it's valuable to you, I am sure we'll all appreciate your effort. Thank you Heather! I am going to your blog to follow now. Welcome to WWSF blog.